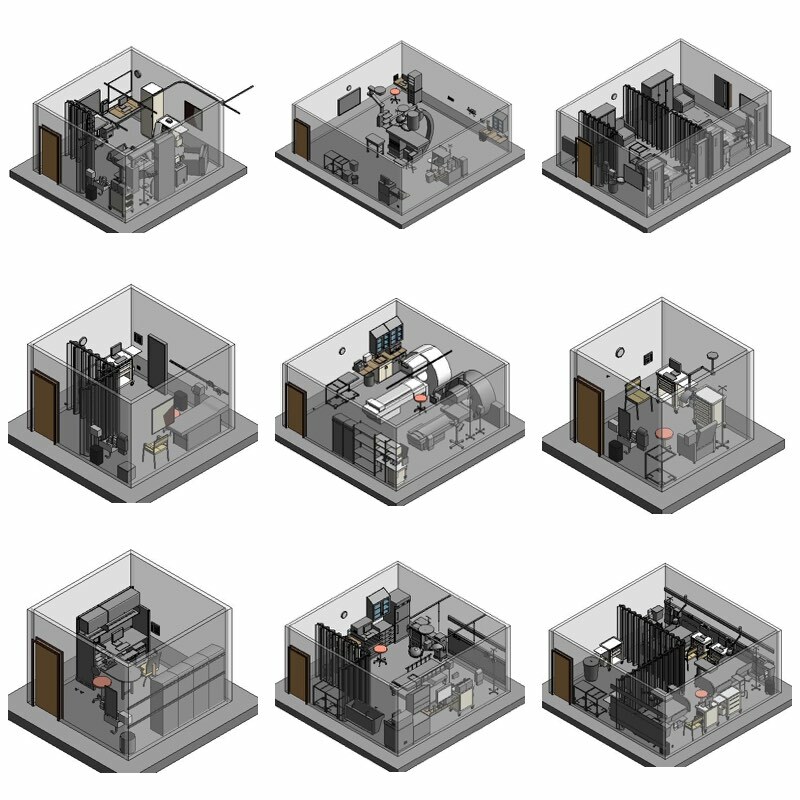 of applications and a modular approach to creating new solutions. Build in once, use it many times. 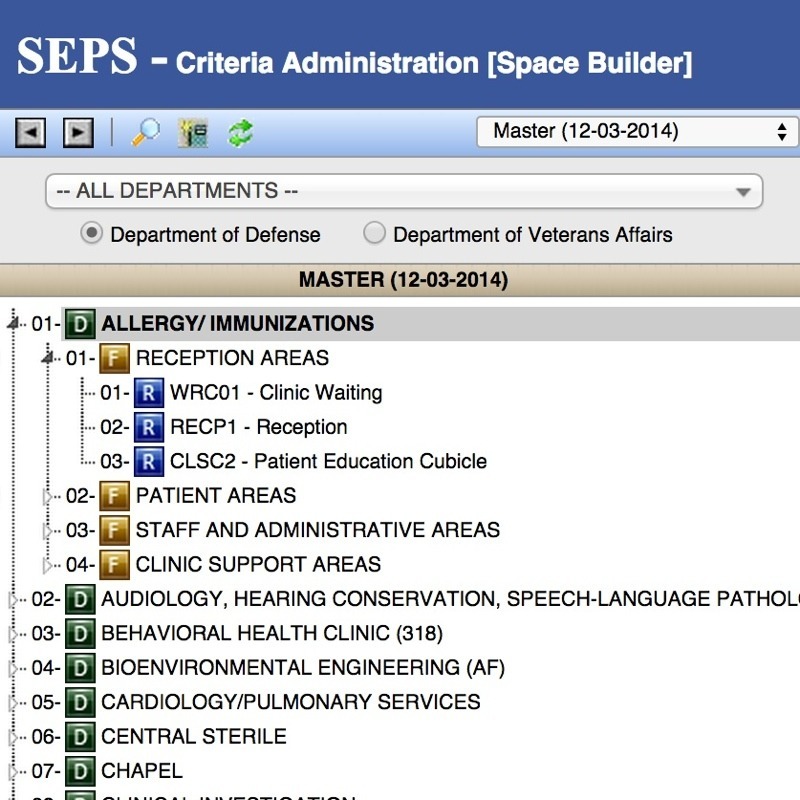 The Space and Equipment Planning System (SEPS) was moved into MAX.gov in 2013. Since then new functionality has been added. Data such as the 1691 equipment database are now hosted on MAX and accessible to other applications. 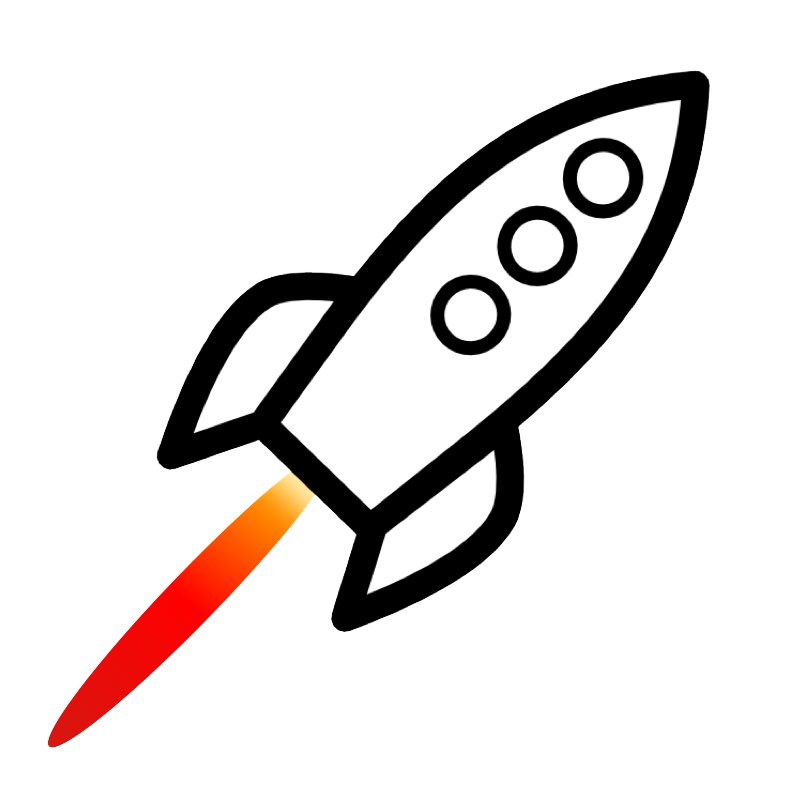 SEPS Master Tables are available as a web service for other applications to connect to. 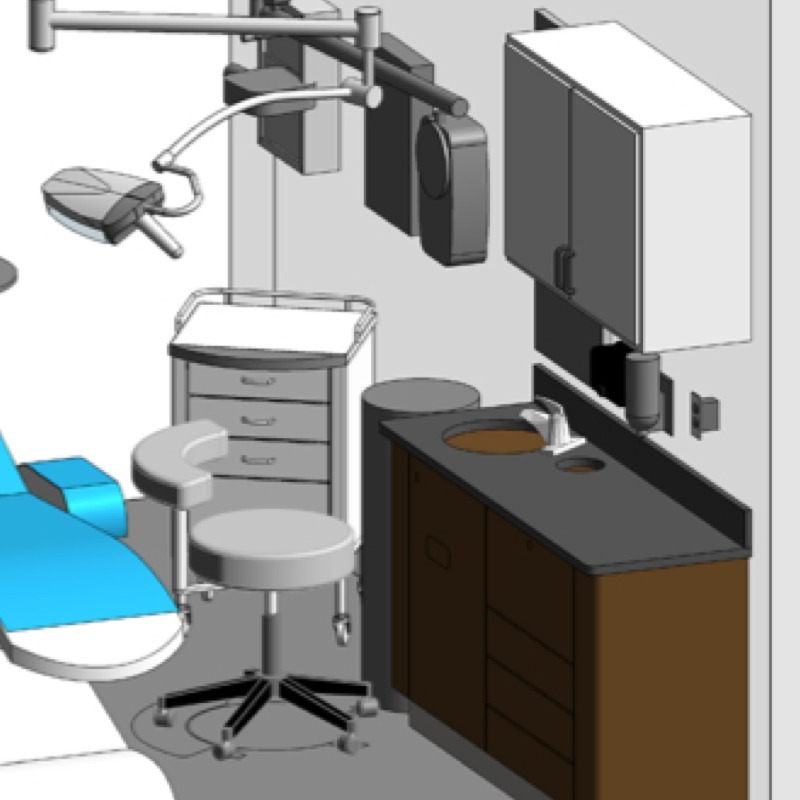 Two large healthcare owners have made their facility requirements data accessible. 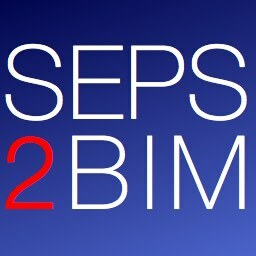 SEPS2BIM is a resource for tools, APIs and processes. 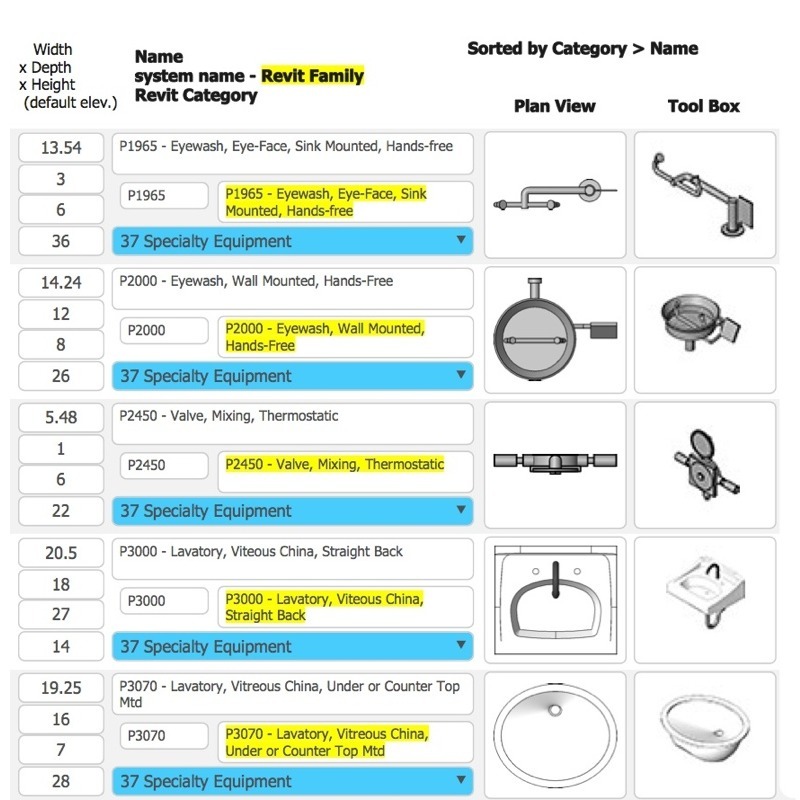 Space and Equipment Planning System hosted on MAX.gov since 2013. 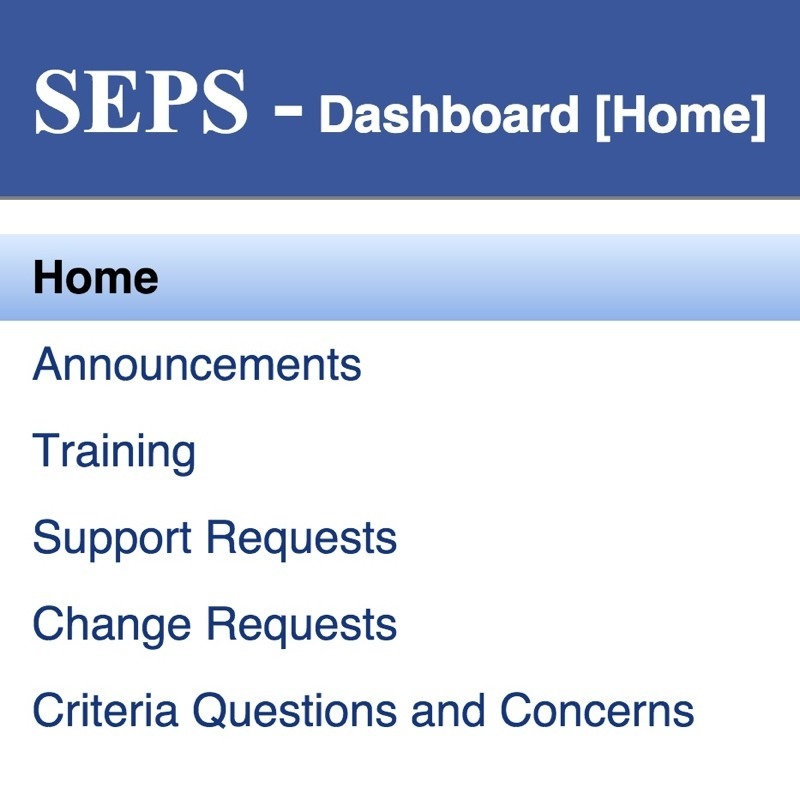 SEPS users now authenticate through MAX.gov to access standards and project data. 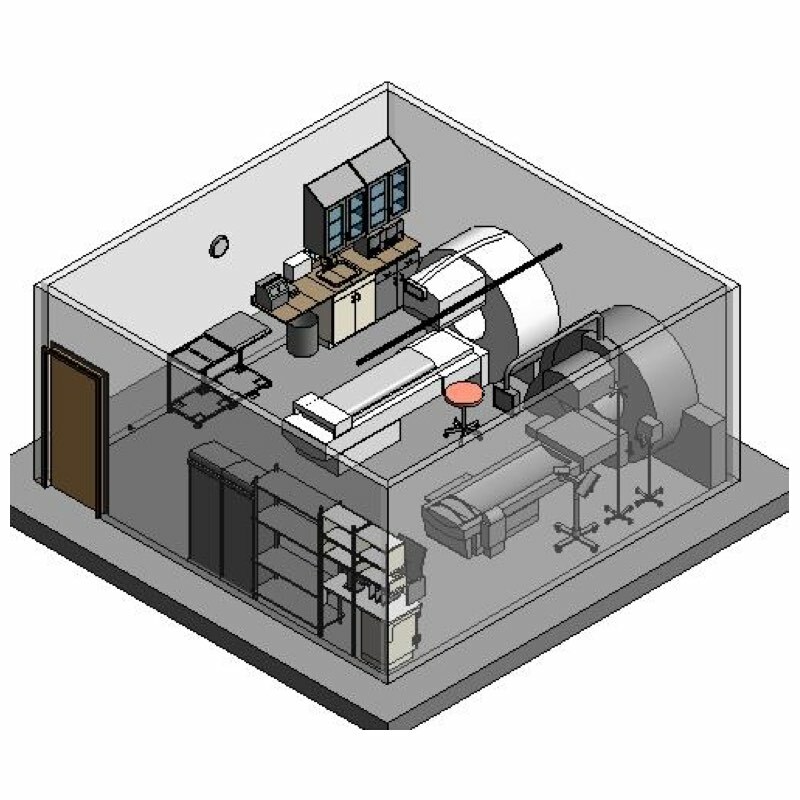 Space and equipment standards from SEPS are accessible via Web Services. Up until this year, the only way to get to this data was by having access to SEPS. 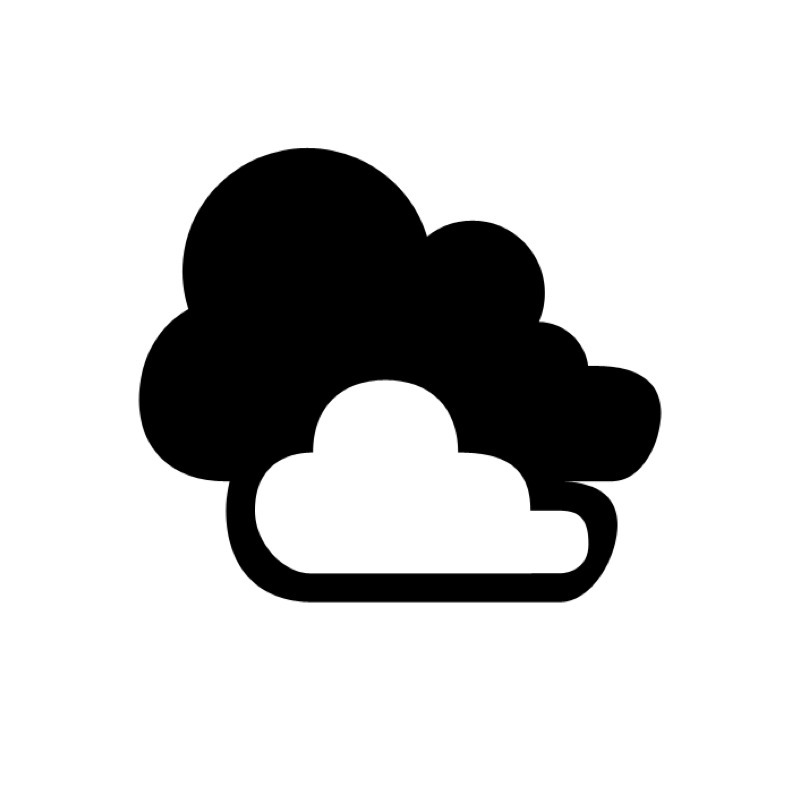 Opening up web services now enables outside applications to use the same data. SEPS generated project tables are now accessible through MAX.gov as a web service after authenticating through MAX.gov. 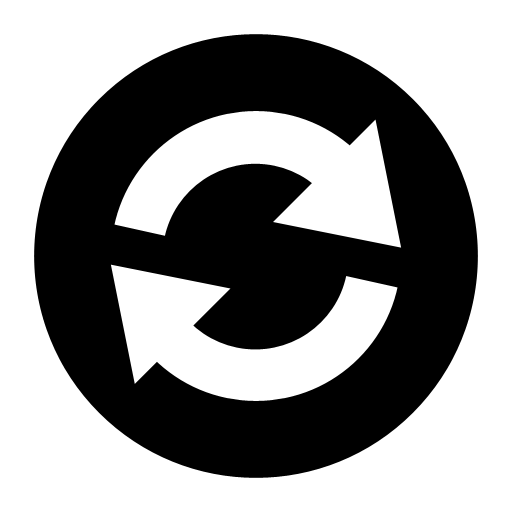 MILSTD 1691 is an equipment database that was web enabled in 2014. Data that used to be distributed by CDs is now accessible through MAX.gov and as a web service. 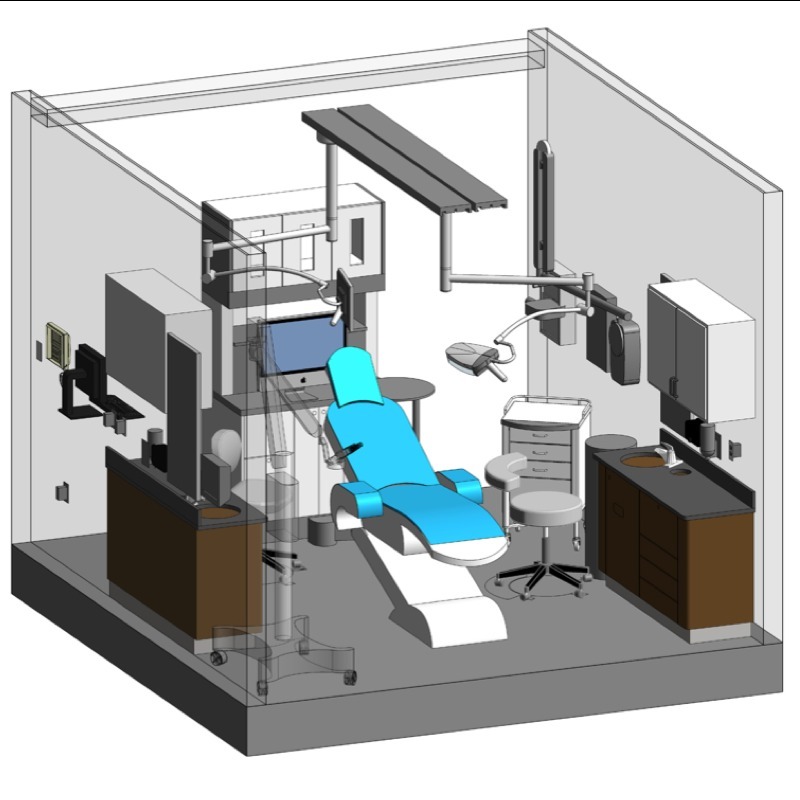 As of 2014, about 800 of the over 2,000 Objects from the MILSTD 1691 Equipment Database are available as BIM Objects. 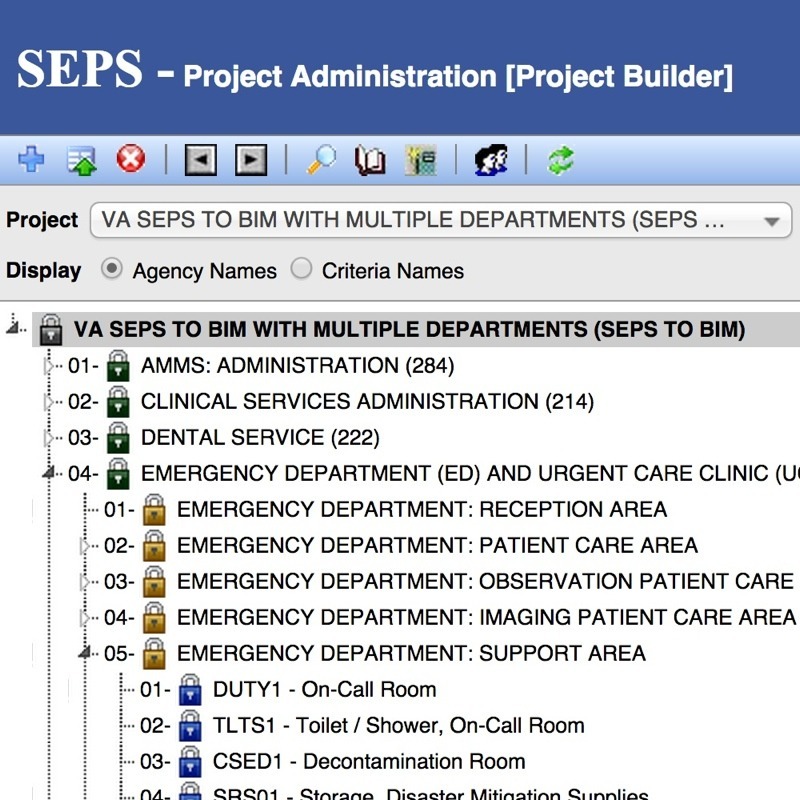 Learn how to link your application to SEPS or create new applications linked to SEPS. iFM proofs of concept evaluated the viability of extending MAX.gov to support the needs of the facility life cycle. The results can now be used to define the next steps in the creation of the iFM Platform on MAX.gov. As part of Proof of Concept #1 a portfolio level view using GIS mapping applications enabled users to get a dashboard understanding of what is happening, and then drill down into details as needed. 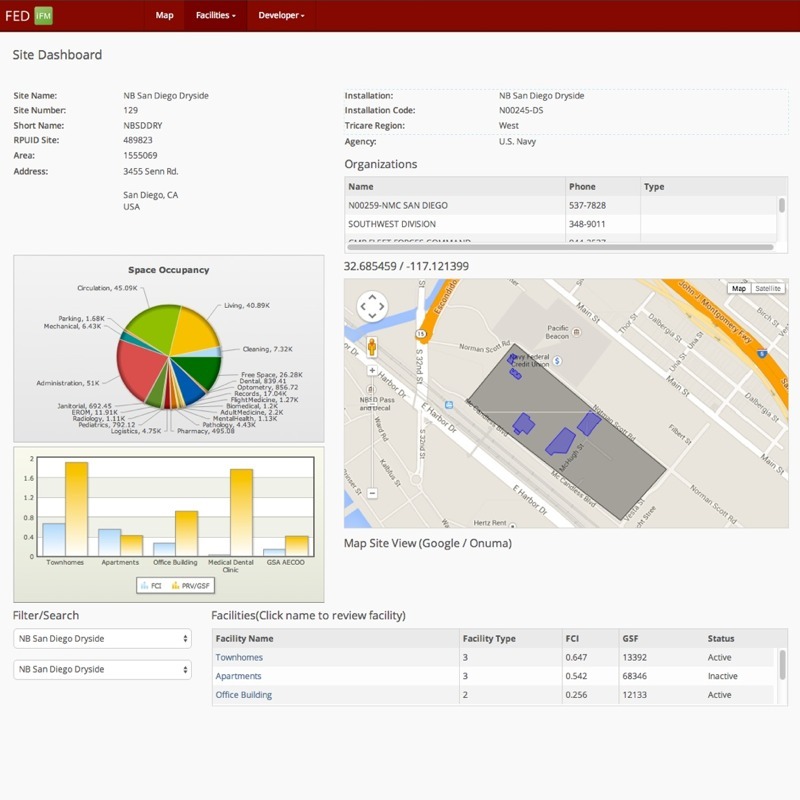 As part of Proof of Concept #1 site level data with multiple buildings and functionality such as live reports and plans connected to data was created. 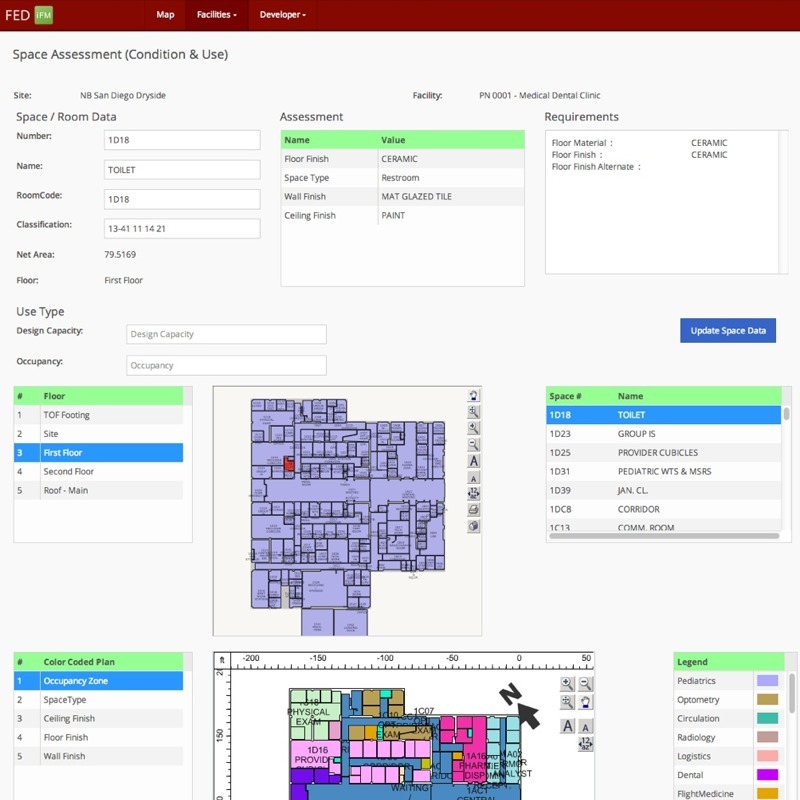 As part of Proof of Concept #1 a single facility and data connected to floor plans was created. Data is visible and editable based on access privileges. 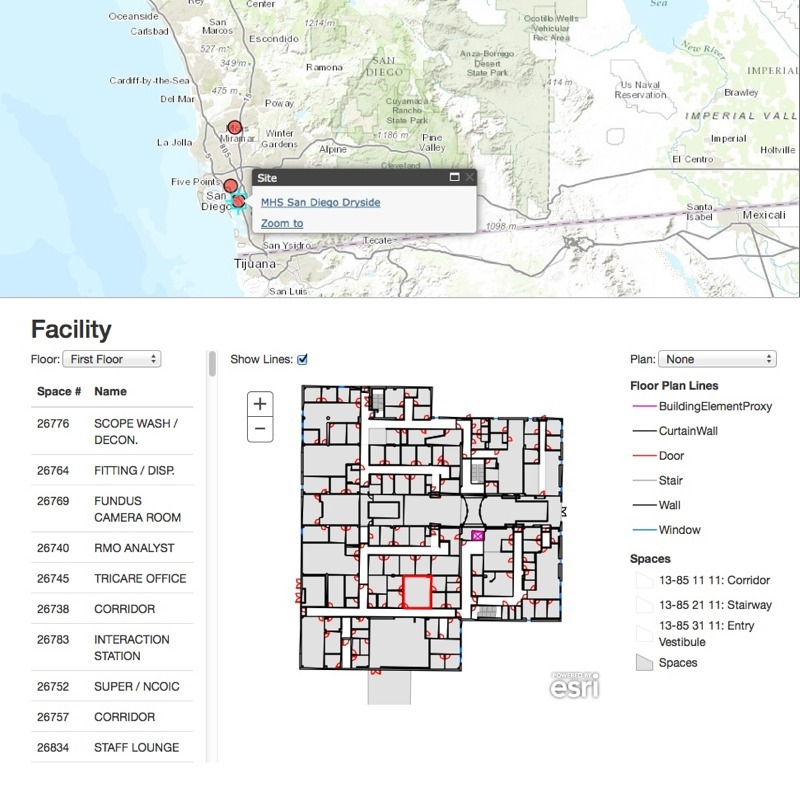 After Proof of Concept #1 was completed and RESTful Web Services were enabled, ESRI was able to link their Map viewer and floor plan viewer to read live data from the FED iFM Web Services and display the data in the ESRI UI. Proof of Concept #2 was an exercise to create more administrative tools to define how the user interface and data could be rapidly switched to enable other owners to use FED iFM for their specific needs. 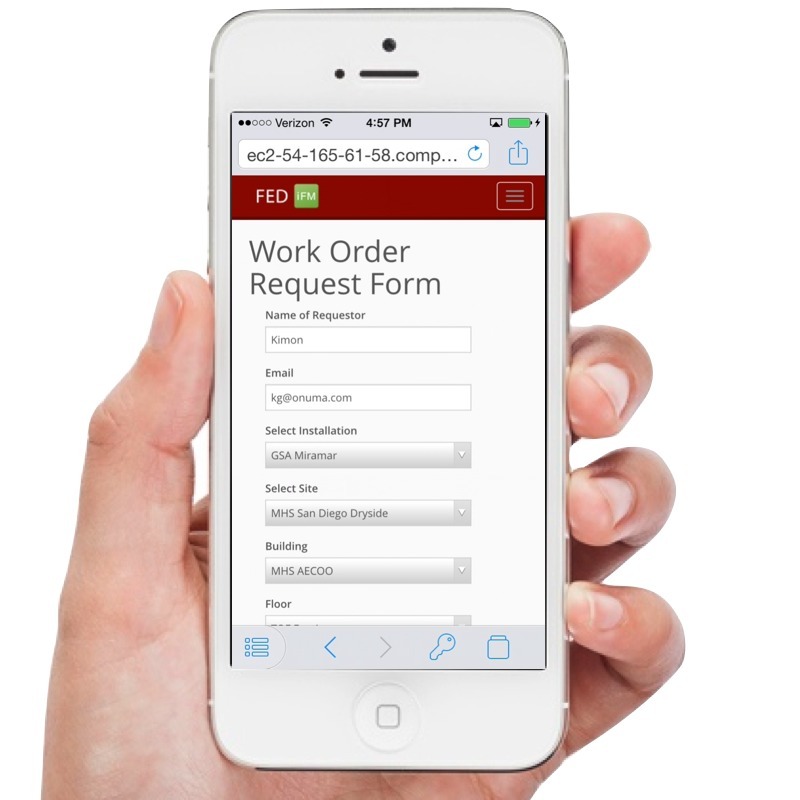 As part of Proof of Concept #3 was the Work Order System Challenge. An outside development team with no prior experience with FED iFM or MAX created a functioning proof within a four week period. 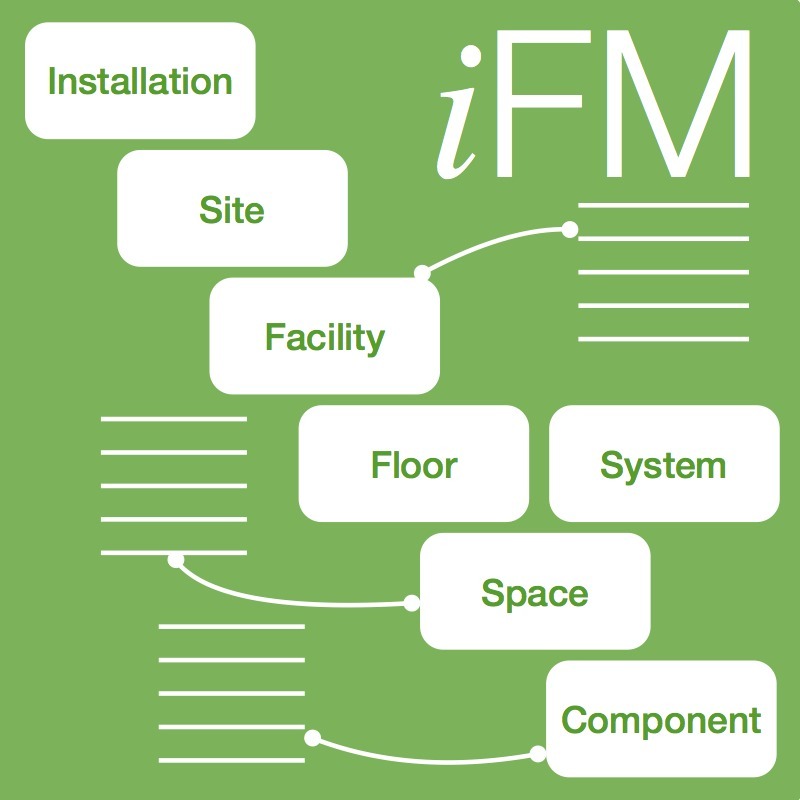 iFM is a low barrier, low friction way to create facility life cycle applications quickly that connect to owner data. It enables end users to have access to data in many new ways. Developers can have access to the iFM tools to create new functionality. The FED iFM Community on MAX. 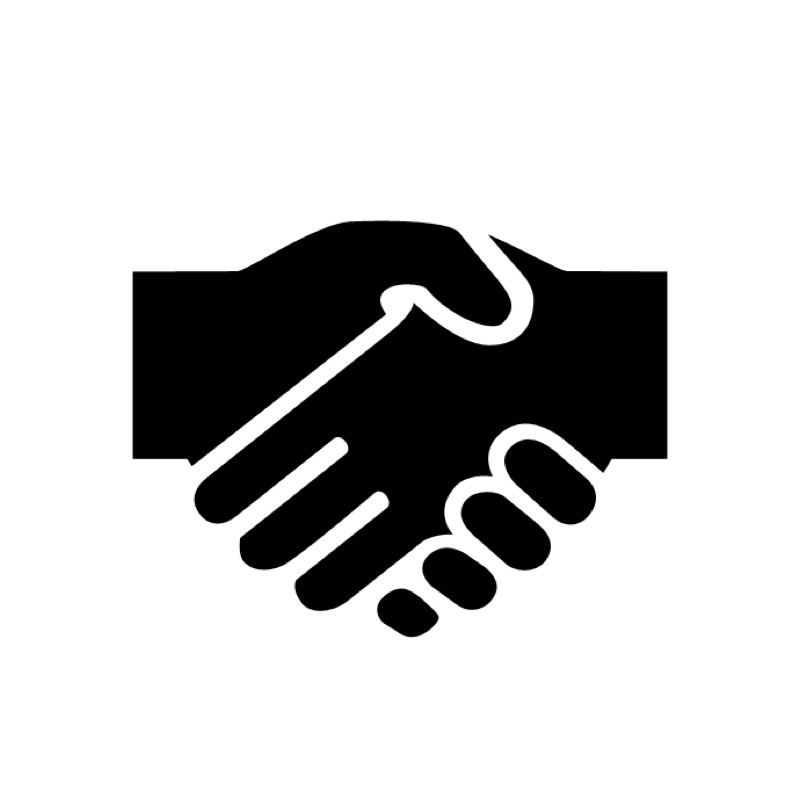 Tools within MAX such as authentication are FEDRamp compliant and enable rapid creation of new functionality. 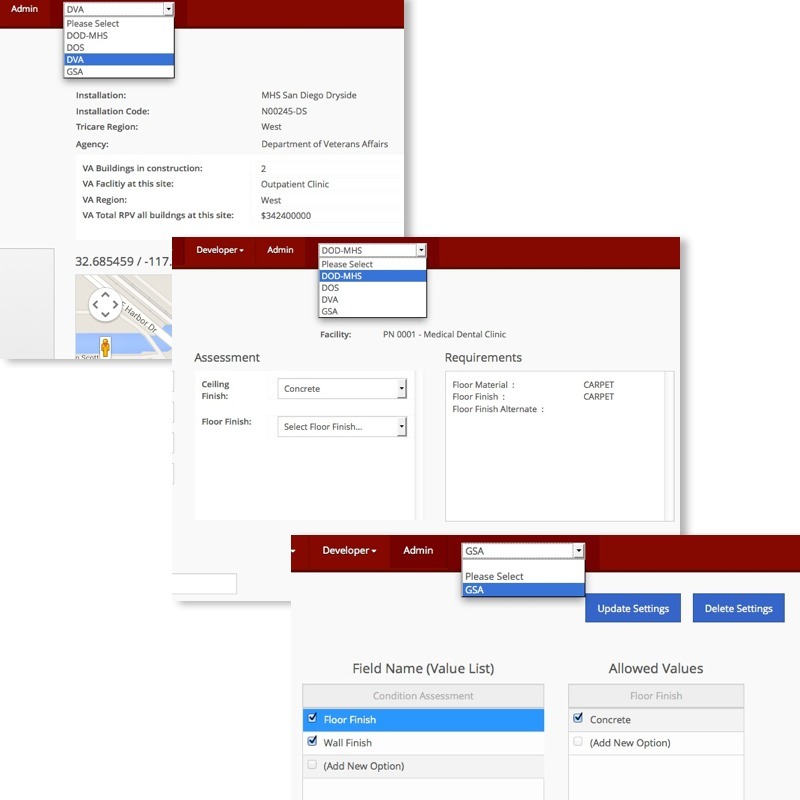 The FED iFM Sandbox in the cloud is a mirror of FED iFM on MAX and enables developers to create solutions that can then be moved into MAX production. iFM is based on industry standards such as COBie and takes it to the next level to cover the life cycle needs of facilities. 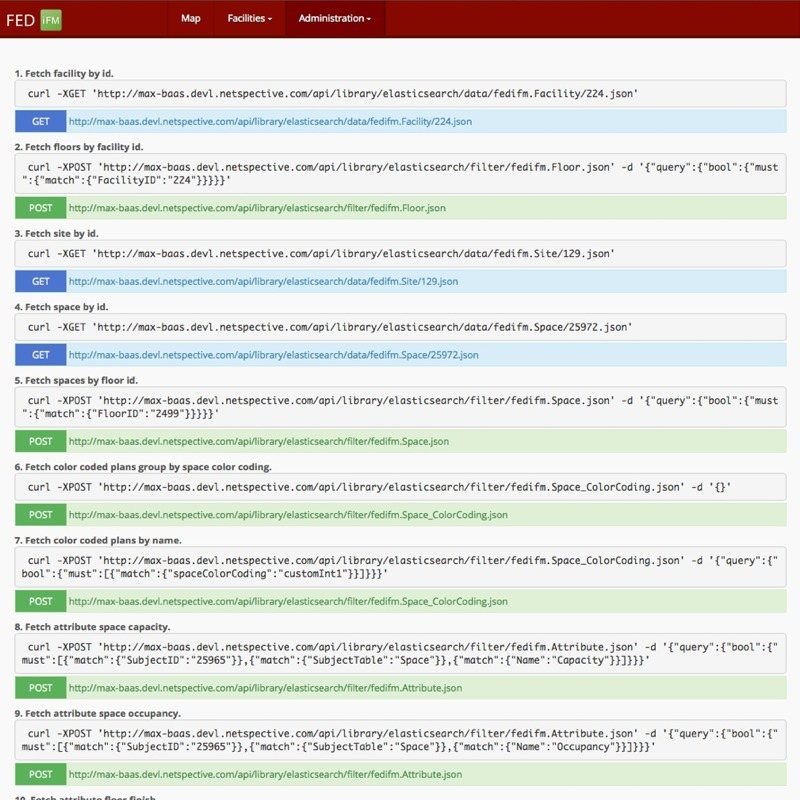 Collaborative Source Management with tools such as GitLAB and GitHUB enable teams to work together on FED iFM. 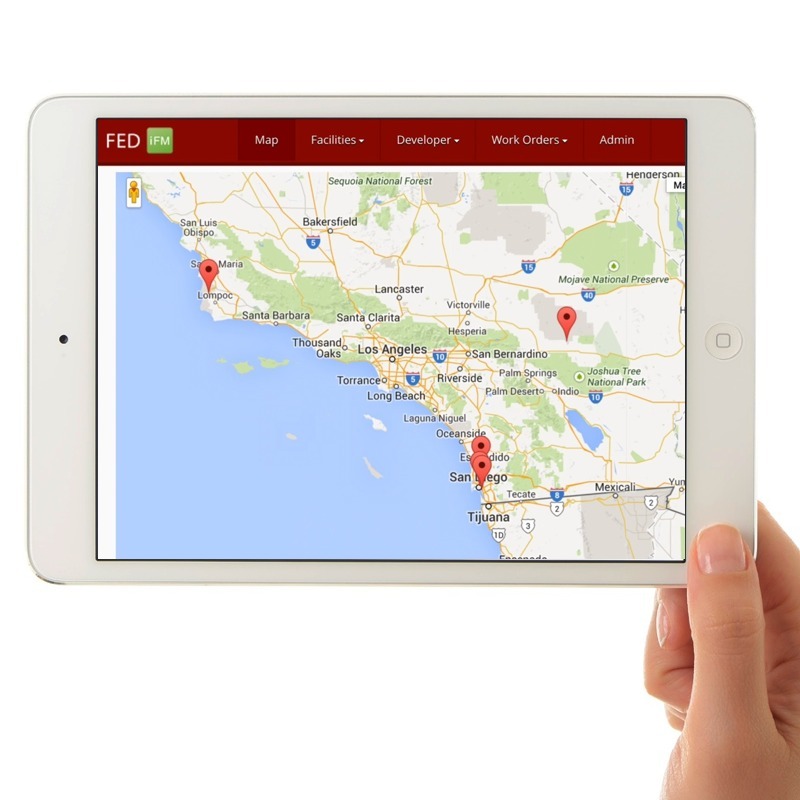 FED iFM RESTful web services enable applications to interact with FED iFM data. 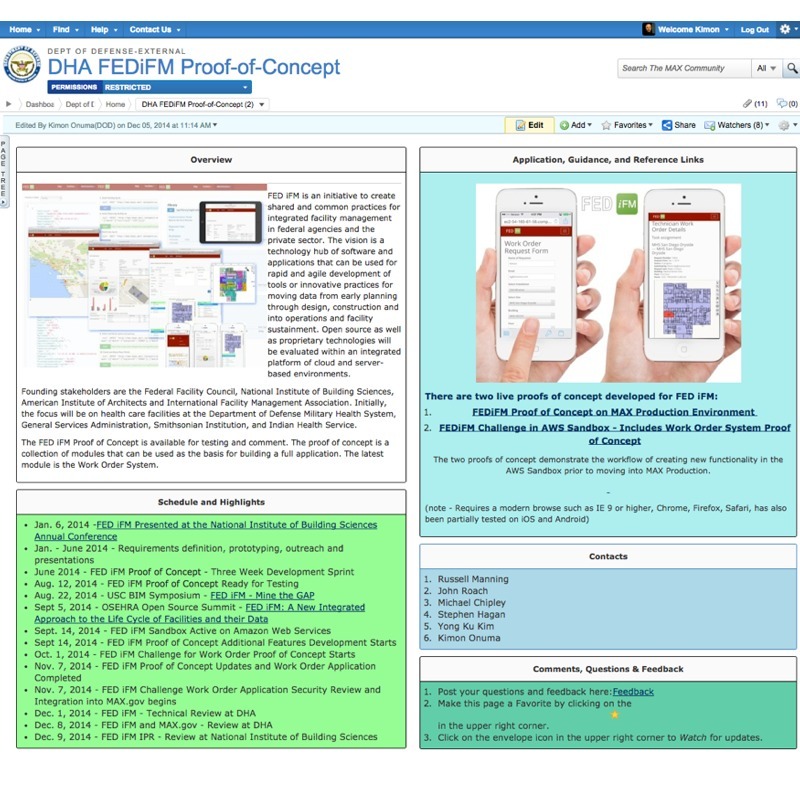 The ESRI proof of concept used web services to connect to FED iFM.